Just in case it gets lost in the Christmas haze, the promised podcast for the recent Smile Special is now available. The special guest for the show was my UCC 98.3FM colleague Stephen Purcell and you can read Stephen's accompanying article on the background to the Smile sessions, as well as plenty of other Beach Boys and Brian Wilson related discussion, on this link. Enjoy and compliments of the season. You won't hear much more from me this side of January but some more news from Arizona caught my eye lately. So you know the way Manu Chao is such a cool f**ker , in the sense of knowing where real people are at? Well at the end of his US tour in September, he held a free gig in a car park in Phoenix, Arizona as a protest against that state's (particularly odious, I think it's fair to say) immigration policies. The gig was held in conjunction with the National Day Labourer Organising Network (NDLON), which has a particular interest in assisting migrants, through its Alto Arizona campaign. 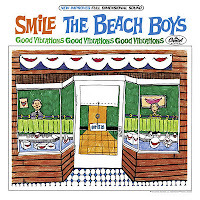 This week's show (the last of the year before the Christmas break) was another special (after last week's Christmas extravaganza, which, not surprisingly also featured The Beach Boys), dedicated to The Beach Boys and in particular the Smile album, which was finally officially released this year. I was joined on the show by guest Stephen Purcell, who is a colleague at UCC 98.3FM. I thought I'd put a bit more flesh on the bones of the Christmas Special, this week's show, which was also the 200th episode of The Underground of Happiness. That's the wave form above (apologies for the delay before Hank Snow, the CD player was acting up). I've stuck in a few extra tunes and links as well below, just for the craic. Merry December everybody. A tune that we've played on the show several times of late is the new Rozi Plain single, See my boat, which comes out next week on Need No Water Records (on lovely red vinyl, too). The Bristol-based artist has been touring the UK lately with KT Tunstall and is very much part of what seems to be a vibrant folk-ish scene in that city, along with the likes of This is the Kit and Rachael Dadd (both of whom you've heard of here before). 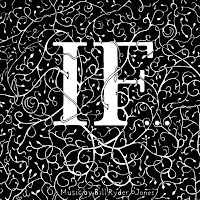 The single starts life as an intimate, fingerpicked affair with chiming guitars, before transforming into a delirious folk stomp with handclaps, massed vocals and a four to the floor bass drum. There's even room for a swirling ending with some French jazz violin on board. It's massive craic altogether, and what's more, it's a storming tune. One of our favourite labels around here, Leaf, has announced the signing of Portland, Oregon duo AU, whose 2008 album Verbs was also much-loved. (Luke Wyland and Dana Valatka played in Cork in 2009 actually and I met Luke for an interview, a piece of audio I must re-upload here once the album comes out.) Their new album Both lights will come out in January, as well as the first single from it, Solid gold. It starts with a tender piano intro, before embarking on a galloping synth groove, and later introduces a stew of guitars, horns and percussion mixing under an Afrobeat rhythm. There's even a hint of brass band oompah at the end. It's all very, very beguiling and I can't wait to hear the album. This is the great rr vs d from Verbs. We've mentioned The Doomed Bird of Providence in these pages several times this year (go here and here to refresh your memory.) 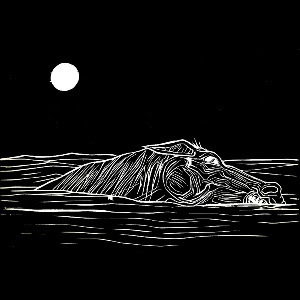 Their excellent album Will ever pray on Front & Follow is one of my favourites of 2011. The Manchester label have just announced a single from the band, containing two new songs, although they tie in closely with the content of the earlier album. The Bell of the Jardines features enterprise, kidnap, ambition and finally leprosy on the high seas off Australia's north-east coast, in the life story of one Frank Jardine. It's really stirring stuff, driven along by wailing fiddles, see-sawing accordions and a thundering marching drum. It comes across like The Bad Seeds in bed with The Pogues, with a compelling singing narrator in ex-pat Aussie Mark Kluzek. Folk music like they don't make any more (well, very few anyway).